NASA usually warns the general public about asteroids approaching Earth‘s orbit, especially those that could be hazardous. However, the meteor that exploded above Earth on Dec. 18 was hardly noticed by anyone. The school bus-sized meteor yielded the impact energy of about 10 atomic bombs, which is significantly greater than that of the bomb that destroyed Hiroshima during World War II. According to NASA’s website, the meteor that exploded above Earth in December is the second-largest meteor impact since record keeping began 30 years ago. Its impact was only surpassed by the infamous fireball that exploded above Chelyabinsk, Russia in February 2013. About 1,500 people were injured in that explosion. 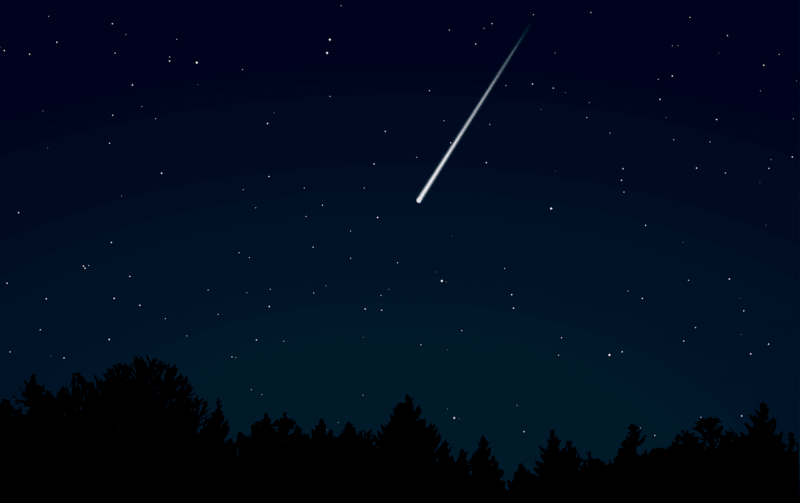 However, unlike the Chelyabinsk meteor, the recent meteor explosion was barely noticed by anyone. Moreover, it wasn’t even expected. It’s possible most people didn’t notice it because it shattered above the Bering Sea — miles away from inhabited land. The U.S. Air Force noticed the meteor explosion thanks to its missile-monitoring satellites and then informed NASA about it. The explosion was also picked up by infrasound detectors which can notice frequencies that are inaudible to human ears. That provided researchers enough data to study the explosion. NASA said the meteor that exploded above Earth weighed roughly 1,500 tons and measured about 32 feet across. It was traveling through Earth’s atmosphere at a speed of 71,582 miles per hour when it exploded. The explosion yielded an impact equivalent to 173 kilotons of TNT — 10 times more than the bomb that was detonated over Hiroshima during World War II. The reason researchers from various asteroid-monitoring groups couldn’t see the space rock coming is likely because its size was small in relation to space. As New Scientist reports, Alan Fitzsimmons, an astronomer at Queen’s University Belfast in Northern Ireland, said modern telescopes can detect objects that measure hundreds of meters or more in diameter, which means smaller objects like the school bus-sized space rock are easy to miss. The explosion over the Bering Sea also calls for more advanced techniques of space rock detection. Scientists are working on a more robust network which would combine the work of ground telescopes with that of a space observatory to scout for potentially-hazardous meteors and asteroids which can’t be seen because of their size. NASA is developing a concept for a mission that would use a telescope called the NeoCam, which would be launched at a balanced point in space. That would allow astronomers to detect asteroids which are larger than 460 feet in size. “The idea is really to get as close as possible to reaching that 90% goal of finding the 140m and larger near-Earth asteroids given to NASA by Congress,” NeoCam Chief Scientist Amy Mainzer of NASA’s Jet Propulsion Laboratory told BBC News.